If you’re pregnant or planning to be pregnant and are over 35, you’re considered to be of advanced maternal age. The team of expert perinatologists at TLC Perinatal PA offer specialized preconception counseling and testing for older mothers at their offices in Silver Spring, Hagerstown, and Germantown, Maryland. Have your obstetrician refer you to TLC Perinatal, then call or schedule an appointment online for personalized maternal-fetal medicine expertise. Even though you still feel, and are, young at 35, medically you’re considered to be of advanced maternal age. If you get pregnant when you’re 35 or older, your pregnancy is classified as high-risk. Most women have perfectly healthy babies after 35; you just receive additional prenatal monitoring and testing. Your age is an indicator of an increased risk for certain complications, and your OB/GYN will take steps, including referring you to the maternal-fetal medicine specialists at TLC Perinatal PA to make sure you and your developing child are carefully monitored If an issue arises, TLC Perinatal PA in consultation with your obstetrician can offer the testing and treatment you need. Why does advanced maternal age affect pregnancy? While every woman is different, medically 35 is the age where statistically your risks of certain pregnancy complications begin to increase. For example, it might take you longer to get pregnant. As you age, your ovarian reserves – the number of quality eggs you have left – decreases. Your eggs might not be as easily fertilized and your risk of chromosomal abnormalities increases, which also makes it more likely that you’ll experience pregnancy loss. Additionally, as you age, it’s more likely that your body will release multiple eggs during your menstrual cycles, which increases your chances of having twins, triplets, or more. What should I do if I am of advanced maternal age? While the risks associated with advanced maternal age sound scary, remember that most women of advanced maternal age have healthy babies. 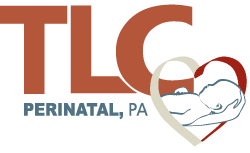 The doctors at TLC Perinatal PA offer expert testing and consultation with obstetricians with patients of all ages. For example, if you are of advanced maternal age, you have more frequent prenatal checkups. Generally, women have monthly appointments until their 28th week of pregnancy, then bi-weekly checkups until week 36, and finally weekly appointments until their baby is born. If you are 35 or older, you could have bi-weekly appointments from the beginning of your pregnancy. In addition to the extra prenatal checkups, your obstetrician could recommend additional prenatal genetic screenings as well as early tests for gestational diabetes, which is where a referral to TLC Perinatal PA comes in. The team at TLC Perinatal PA can help you have a healthy pregnancy at any age. Have your obstetrician refer you, then call or schedule an appointment online.